Despite being the second leading cause of death amongst 15-29 year olds globally, suicide still can’t be reliably predicted. Daryl O’Connor, Health Psychologist at the University of Leeds, presented his work on predicting suicide risk from its biological underpinnings. 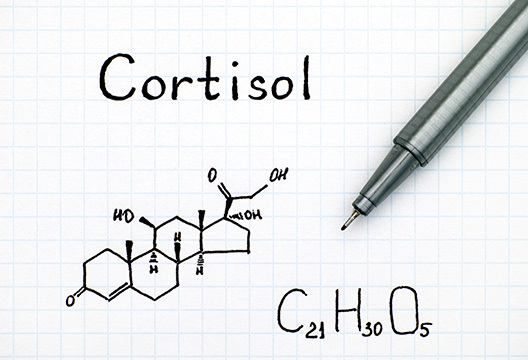 Cortisol is an integral hormone in the stress response, controlled by the HPA axis. On encountering a stressor, cortisol is released for several hours, until an optimum concentration is reached to protect the individual, at which point the release of cortisol ceases. However, under repeated or chronic exposure to stressors, the HPA axis becomes dysregulated, and cortisol levels may be less reactive to stress, leaving the individual less able to cope. As cortisol is also implicated in aspects of emotion, cognitive control and risky behaviour, cortisol dysregulation may play a role in the mechanism behind suicide. O’Connor and his team examined cortisol functioning in 160 participants who had either made a suicide attempt (attemptors), thoughts about suicide within 12 months of the experiment (ideators), or had never considered suicide (controls). A week’s worth of hormone samples from each participant showed that ideators and attemptors were releasing much less cortisol than controls, especially during the expected spike at around 45 minutes after waking. Previous research has associated childhood trauma with a dysfunctional stress response in depression, but O’Connor noted that this relationship had not been explored extensively in relation to suicide. Unsurprisingly, responses given on the Childhood Trauma Questionnaire also showed that exposure to trauma was much greater in attemptors, with ideators giving intermediate scores and controls reporting lower scores. A regression analysis showed that this relationship between trauma, blunted cortisol response and suicide risk was mostly explained by the level of emotional and sexual abuse reported, independent of the individual’s current level of depression. The authors reasoned that childhood trauma may place excessive ‘wear and tear’ on the stress response, leaving individuals vulnerable later in life. Nonetheless, other unknown factors may also have a role. Interestingly, a family history of suicide did not interact with childhood trauma to explain any additional variability in the cortisol response. These findings illustrate the need to further elucidate the mechanisms linking childhood trauma, or other potential stressors, with lowered cortisol and suicide risk. Alternatively, discovering protective influences on the stress response may prove beneficial in reducing suicide risk. Encouragingly, participants who reported higher levels of resilience had a less blunted cortisol response. There was also some evidence that the stress response can recover, as cortisol levels seemed to be returning to normal in those who had made more historic attempts compared to those who had attempted suicide within a year of the study. O’Connor therefore hopes to investigate whether cortisol levels could be amenable to psychological interventions aimed at improving resilience.